It’s February. Maybe you associate it with Valentine’s Day or Groundhog Day or Black History Month. I’m not that much into Valentine’s Day (I once got dumped by a guy on Valentine’s Day). February for me means Oscars at the Academy Awards© ceremony and also conflict abroad. Why, you ask? The revolution in Cairo, Egypt and the spread of civil unrest to other Middle Eastern countries is all we’ve been hearing about on the news for weeks. I’m also supposed to go there on vacation in March â€“ hopefully â€“ so I have a real interest in what’s happening. And, as I try to see all the Best Picture nominees before the Academy Awards ©, I can’t help remembering that The Hurt Locker starring Jeremy Renner, was the Best Picture winner at the Academy Awards © last year. It’s a war picture about an elite team of soldiers in Iraq dismantling improvised explosive devices. Not a very cheery topic but one that’s fascinating to me. 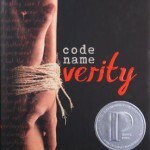 There have been some exceptionally well written books for teens about war in recent years too. 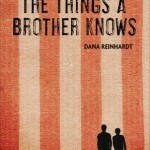 I recently finished listening to Dana Reinhardt’s The Things a Brother Knows (2010) ( 2011 Best Fiction for Young Adults & 2011 Top Ten Best Fiction for Young Adults & 2011 Sydney Taylor Book Award Winner for Teen Readers.) Reinhardt did a great job of writing from a guy’s point of view about what’s it like to have your older brother back from the war and traumatized by his experiences. Although it’s clear the soldier has been in the Middle East, Reinhardt is careful not to mention a specific war, giving this book a broader and longer lasting appeal. Purple Heart (2009) by Patricia McCormick (2010 Best Books for Young Adults), is being released in paperback this month. It’s the suspenseful story of an 18-year-old soldier who receives a Purple Heart but is suffering from traumatic brain injury and can’t remember the conflicting events that earned him this honor. As he recovers his memories, he realizes he might have been responsible for a young Iraqi boy’s death. Sunrise over Fallujah (2008) by Walter Dean Myers is about a teen that feels compelled to join the Army after 9/11 and faces the horrors of war in Iraq as he works as part of the Civil Affairs Unit to help win over the Iraqi people and his conflicted feelings about being there. There have been others books written about the war but these are some that have had a lasting impact on me. 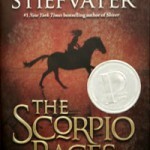 31 Days of Teens’ Top Ten: Comparing the TTT with the BBYA!